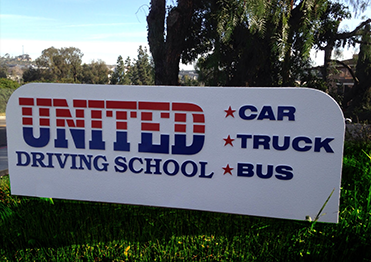 United Truck Driving School in San Diego offers the full list of CDL training courses, utilizing both Class A CDL & Class B CDL vehicles. Attending truck driver training in San Diego provides an ideal learning experience for new CDL drivers to develop new driving skills in a commercial vehicle. From classroom teaching to behind-the-wheel training on the driving range, students will quickly perfect their driving skills. The local area adjacent to United’s San Diego campus offers a balance of both urban and rural roadways for “real world” driving scenarios. San Diego’s campus serves as a great setting for all students wanting to earn their commercial driver’s license (CDL).